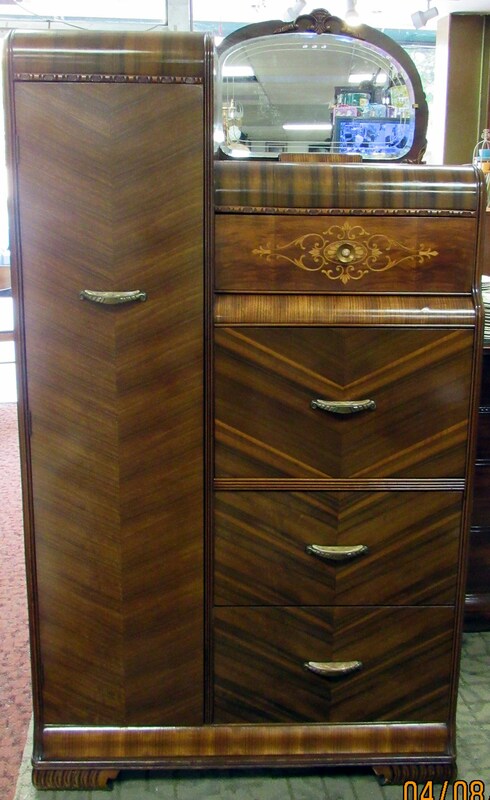 Beautiful Art Deco Waterfall Bedroom set, circa 1930-1940. 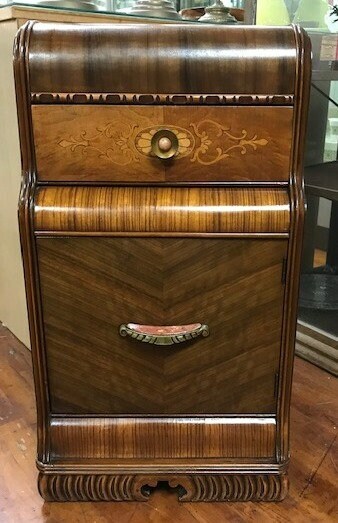 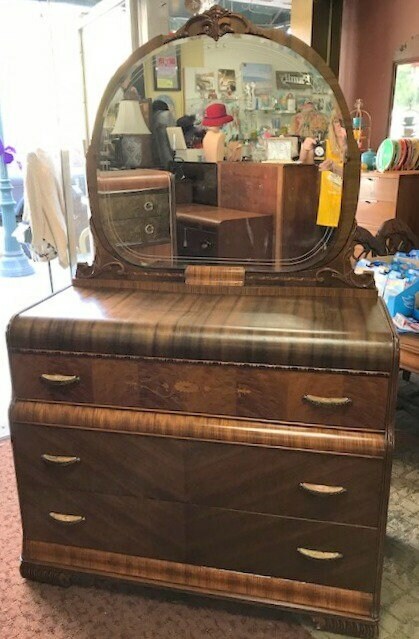 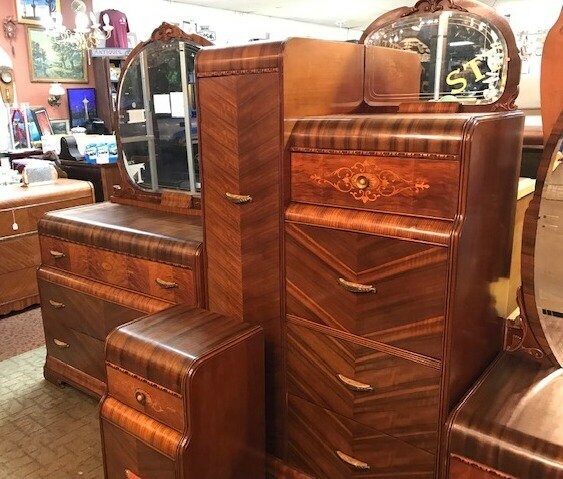 This set features solid wood with satinwood and walnut veneers, horizontal banding of zebrawood veneers, original bakelite and metal drawer pulls. 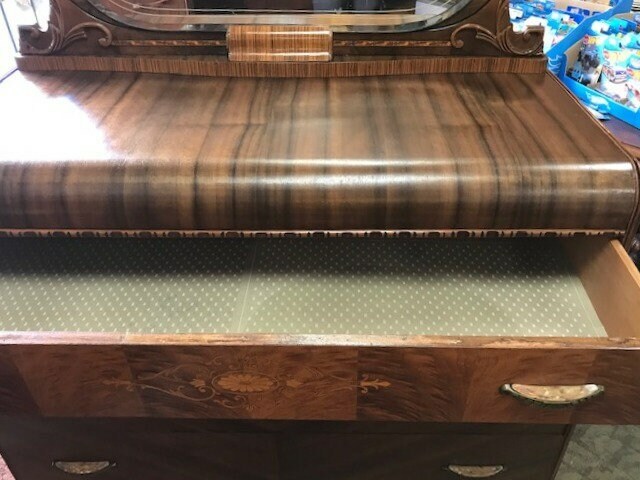 Every piece has been beautifully refinished. 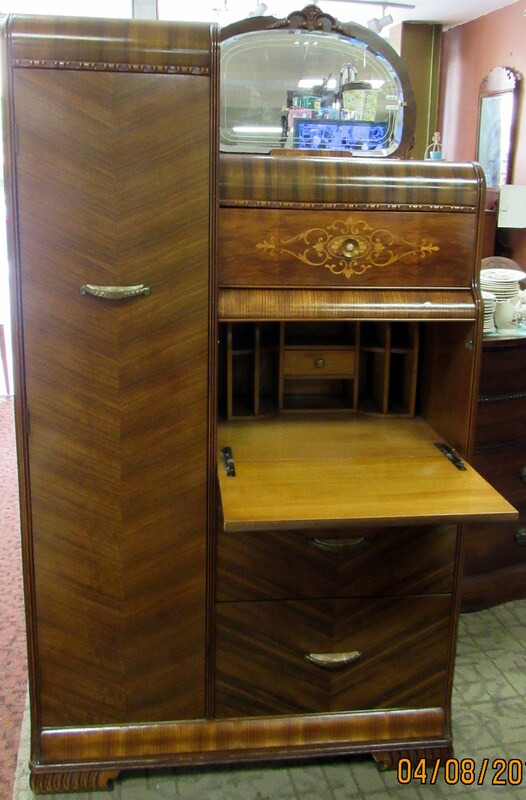 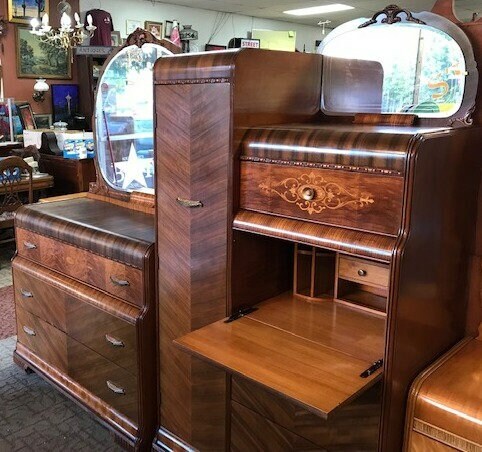 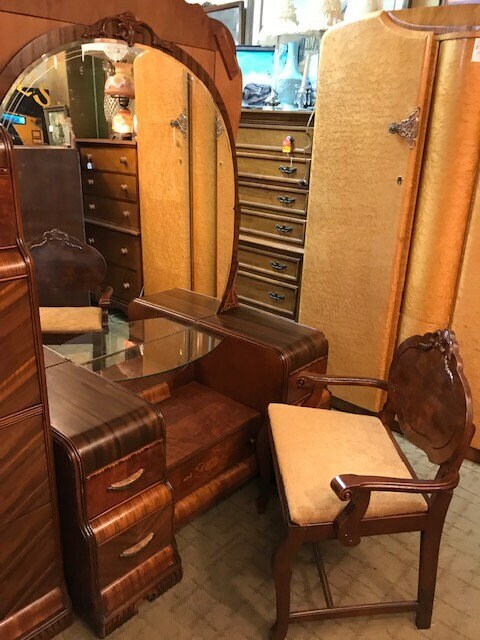 includes: Chiffonier Armoire with drop front desk, cedar lined closet on the left, 3 big deep drawers, drop front writing surface with drawer and cubbies inside, etched mirror at the top, 38 x 21 x 70", Dresser with big round mirror, three big drawers, 46 x 21 x 36", Vanity with five drawers and big round mirror and matching chair, 47 x 22 x 24" and nightstand with one drawer and cabinet door. 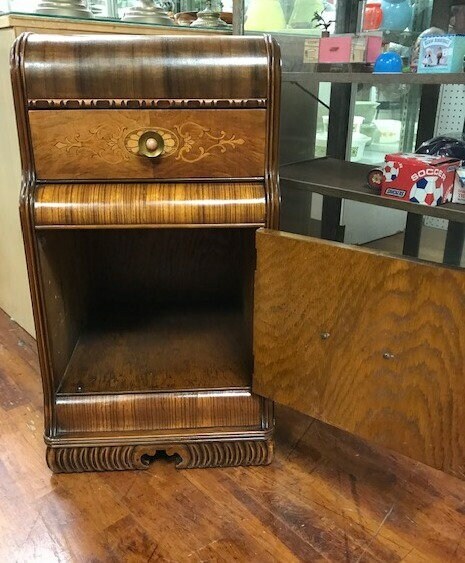 Local pick up, delivery or will ship to most US states.